Architect Priyan Hettipathirana raises an important question in ArchWorld today -When creating environmental friendly and sustainable built environments can the new generation of Architects draw inspiration from tradition and apply new technology in way that fits our local context? Sri Lanka is experiencing a post war economy. As a result Colombo has shown rapid development due to the socio-economic changes after the ending of the war. The current economic and market situation is much more favourable for development than that of the three decades during the war. “Sri Lanka’s economic situation has improved with the development taking place in the city of Colombo and development of the infrastructure in the rest of the country. There are many high-rise mixed development projects in the city of Colombo. These new projects feature hotels, luxury apartments as well as shopping malls and office complexes. Colombo has improved its connectivity through the development of highways,” said Hettipathirana. There have been many rags to riches stories in the world. Some of the world’s billionaires took themselves to the streets until finally achieving fame and fortune. “Urban migration has increased at a faster rate. The middle and upper middle class have a tendency to migrate to Colombo for better employment and benefit from the many conveniences and facilities the city has to provide. This has led to real estate companies building many middle rise apartment which have also changed the skyline,” stated Hettipathirana. Many tourists use Colombo as a transit and make short excursions into the city to enjoy its night life before visiting other places. 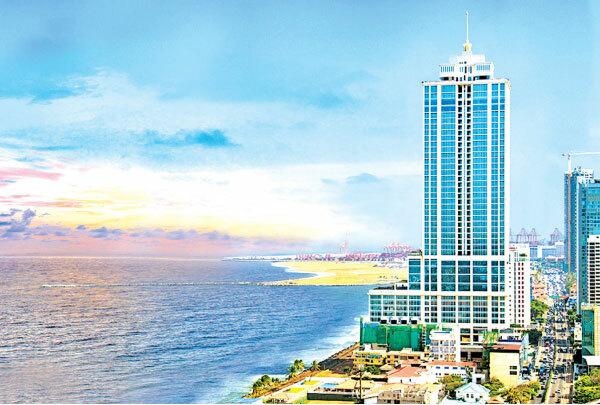 Colombo has become a nucleus for future development. Rural urban migration in Colombo has become a critical factor in the cities development. “With the booming of cities civilizations in the Eastern and Western part of the world have responded, by adapting to its changes and demands. For the Eastern world cities have not been a new concept. Up until the industrial revolution some of the largest cities in the world have been in the East. Angkor has been a historical city during the 11th and the 12th century AD and it is said that the old city covered over 1,000 Square kilometers with a population which is said to have been closer to one million people. It is said by archaeologists that this city could have been the largest city in the world until the industrial revolution. These Hindu and Buddhist cities were predominantly agricultural. The archaeological remains prove that these Asian civilizations had the technology and planning to adapt to the changes and demands of their historical context,” explained Hettipathirana. The challenges today’s cities face are becoming more and more complex. “The West and East have different approaches when it comes to demand for space and the growing need to build new buildings. Most capitals in the west have developed after the industrial revolution and the architecture of these building are predominantly that of classical buildings. Today the authorities are very conservative, therefore the changes made to an existing old city which covers a great extent is not allowed. So it has been a challenge to create modern architecture through new buildings. One common practice in the West is where the existing building is extended in a rich classical architectural style, while still preserving its original architecture,” added Hettipathirana. Hettipathirana also pointed out that compared with Western cities most Eastern countries which did not benefit from the industrial revolution are today left with pockets of poorly developed slums. “This has led to the clearing of under-utilized land in pockets of the city to create new urban designs with a modern architectural language which does not have to respond to a strong and existing architectural character that needs to be preserved or conserved. This also has led to the improvement of infrastructure and the recreational facilities which shapes the urban architectural form,” added Hettipathirana. “Like Colombo, every rural township area in Sri Lanka will develop at its own speed. But each of these towns will evolve under different forces that drive their development. This makes it interesting and gives each township its own identity in terms of their architectural character. 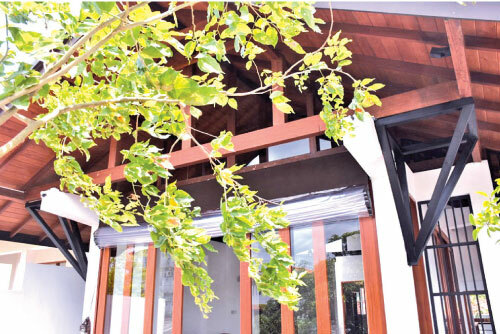 None of these individual townships should copy or follow the same architectural trends that we see in Colombo - its changing skyline and trends that will emerge in times to come,” Hettipathirana stated. With the opening of Port City we can expect more international business to come into Colombo. 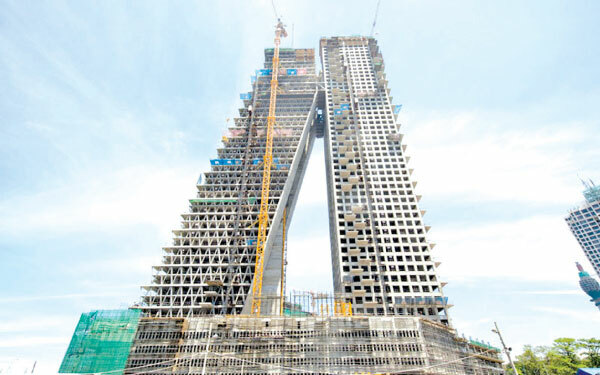 “I foresee that Colombo will rapidly develop for the next two to three decades. The changes we can presume, would be similar to many of the post war economies in the rest of the world. Sri Lanka has the potential to develop as a major service hub and an attractive tourist destination. The Port City will change the skyline of Colombo. We can expect that this will be propelled with the development happening among the regional giants India and China,” explained Hettipathirana. Colombo city needs to be equipped with the required commercial, residential, administrative services with the recreational buildings and spaces to meet the future demands. Sri Lanka is a hot and humid country located in the tropics. The buildings will more or less respond to the same climatic elements. We can assume that most of these building will have a similar identity as the climate is a very strong context, which generates its architecture and every building has to respond to it in order to generate its architecture. The Artisans of this country need to revisit the many junctures where the evolution of Sri Lankan traditional architecture got hindered due to external influence. We need to adapt to the fast and developing industry. However the way forward should be to use the traditional details in today’s architecture and let it evolve with time and the latest technology.